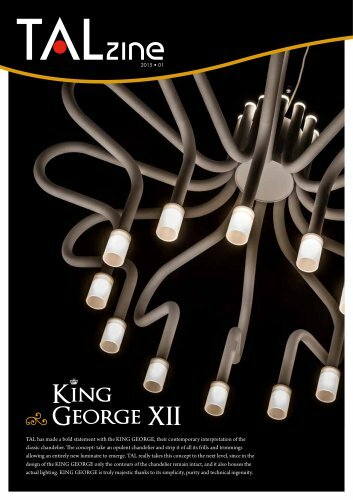 TAL has made a bold statement with the KING GEORGE, their contemporary interpretation of the classic chandelier. The concept: take an opulent chandelier and strip it of all its frills and trimmings allowing an entirely new luminaire to emerge. TAL really takes this concept to the next level, since in the design of the KING GEORGE only the contours of the chandelier remain intact, and it also houses the actual lighting. KING GEORGE is truly majestic thanks to its simplicity, purity and technical ingenuity. BISTRO YELLOW Bistro YELLOW is the temporary bistro concept by Michelin star chef Gert de Mangeleer and maître-sommelier Joachim Boudens of restaurant Hertog Jan***, it opened while restaurant Hertog Jan moved to a new location.